Artificial colors and dyes are chemical additives that change the shade of soaps, lotions, shower gels, face creams, shampoos, styling products, and more. These dyes are often made up from a variety of synthetic chemicals. You can find dozens of chemicals in a single dye, making it extremely difficult to know exactly what you’re exposing your body to. Many artificial colorants are made from coal tar, and some can contain heavy metal salts, including lead. 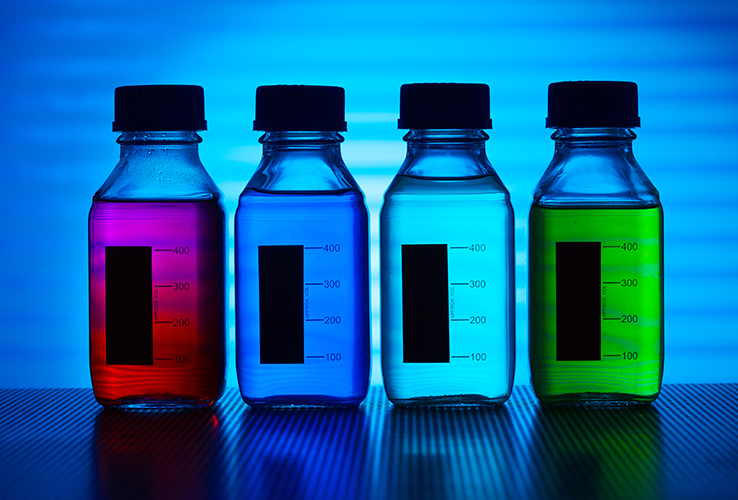 What are the Impacts of Artificial Colors? The toxins that artificial colors leave on your skin greatly increase your risk of sensitivity and irritation. They can also block your pores, which leads to a greater risk of acne. Using these products on your skin allows the chemicals to be absorbed into your body, where they can cause even greater damage. Research has found a link between certain food-related artificial colors and cancer in animals. Other dyes are associated with thyroid tumors, allergic reactions, hyperactivity, and kidney tumors. Many artificial dyes have been banned from use in food because of the health problems they cause. Unfortunately, there are relatively few restrictions on the types of dyes that can be used in skincare products. If you’re dedicated to avoiding synthetic dyes, it’s up to you to find them in your products. Where Can You Find Artificial Colors? Artificial colors and dyes are everywhere. Look for them in shampoos, conditioners, toothpastes, skin toners, facial cleansers, soaps, shaving lotions, styling products, and cosmetics. Keep an eye out for artificial colorants when purchasing mainstream personal care products – they’re less likely to be found in natural choices. How Can You Avoid Artificial Colors? What are the Alternatives to Artificial Colors? There are plenty of ways to create beautiful colors in skincare products without relying on synthetic substances. Buriti oil, seaweed powder, clays, spices and even foods like coffee and molasses can create beautiful shades without putting your health at risk. For primary colors, you’ll find ingredients like turmeric powder (yellow), beet root powder (red), and woad powder (blue). You’re unlikely to find bright neon colors coming from all-natural sources, but with all the beautiful non-toxic options out there, you won’t even miss them. Synthetic colorants may make a product look better, but they definitely don’t make them better for you. I never use them in my products, and I encourage you to choose alternatives that are far better for you and your family’s health. What products have you found artificial colors lurking in? Tell me about them in the comments below!